Environmental justice is one of the most controversial and important issues in contemporary social science. 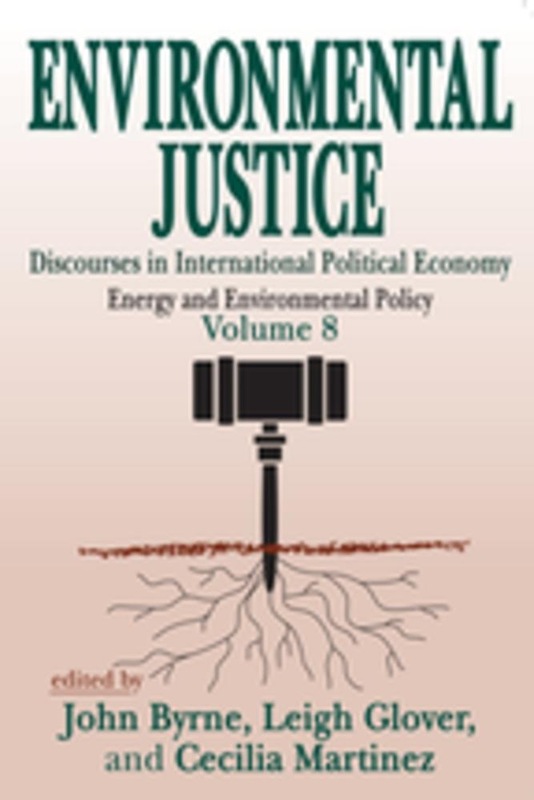 Volume 8 of the Energy and Environmental Policy series challenges our understanding of environmental justice in a global context. It includes theoretical investigations and case studies by leading authors in the field. Global forces of technology and the development of global markets are transforming social life and the natural order. These changes require a critical examination of nature-society relations. Increasingly, modernization assigns the risks of modernity to those with the least power and greatest vulnerability to environmental harm. Conventional environmentalism, which focuses on critique of the effects of humanity against nature, is inadequate to the challenges of globalization. In particular, it fails to explain sources of persistent patterns of social injustice that accompany escalating environmental exploitation. As the capacity for environmental destruction expands, broader concerns about environmental injustice have come to the fore, including awareness of threats to whole cultures, ways of life, and entire ecologies. The volume's authors consider the links between expanded patterns of environmental injustice and the structures and forces underlying and shaping the international political economy. Environmental injustice is examined across a variety of cultures in the developed and developing world. Through case studies of climate colonialism, revolutionary ecology, and environmental commodification, the global and local dimensions of the problem are presented.The latest volume in this important series demonstrates that environmental justice cannot be reduced to simple parables of indifference, prejudice, or appropriation. It forges understanding of environmental injustice as a development of international political economy itself. Likewise, initiatives on behalf of environmental justice are seen as elements of broader movements to secure self-determination in a globalizing world. This book will be of interest to policymakers, energy and environmental experts, and all those interested in the environment and environmental law. It provides new perspectives on the place of environmental justice in international political and economic conflict. Acquista Environmental Justice in Epub: dopo aver letto l’ebook Environmental Justice di ti invitiamo a lasciarci una Recensione qui sotto: sarà utile agli utenti che non abbiano ancora letto questo libro e che vogliano avere delle opinioni altrui. L’opinione su di un libro è molto soggettiva e per questo leggere eventuali recensioni negative non ci dovrà frenare dall’acquisto, anzi dovrà spingerci ad acquistare il libro in fretta per poter dire la nostra ed eventualmente smentire quanto commentato da altri, contribuendo ad arricchire più possibile i commenti e dare sempre più spunti di confronto al pubblico online.